While Microsoft has promoted the fact that Surface tablets running Windows RT will come pre-loaded with Office 2013, it won't be quite the same version desktop owners are using. Office 2013 on Windows RT will be scaled down compared to the desktop version, The Verge is reporting. According to sources familiar with Microsoft's plans, the Windows RT Office will drop support of macros, third-party add-ins, and support for Virtual Basic for Applications (VBA). There are also expected to be a "small number" of other missing features, though there is no confirmation on what those features might be. Can you perceive the difference? 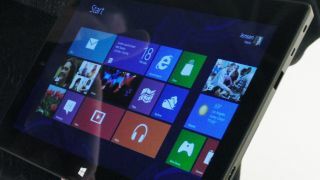 The sources also revealed that the Office 2013 pre-loaded on Windows RT Surface tablets will be a preview version, with the option to upgrade to a full copy available in early 2013. While the lack of third-party add-ins is a restriction inherent to Windows RT, the other changes are said to be for the sake of battery life and application reliability. Microsoft previously said that Office 2013 would not have a "perceivable difference" on Windows RT. Office 2013 appears to only be scaled back for the Windows RT release, meaning Surface tablets running Windows 8 on an Intel or AMD processor should run the full program. For the full rundown on the Surface tablet, check out our hands-on review and catch up on the latest Surface news and details.